This weekend is going to be a fun one! My sister, cousin and I are treating ourselves to a girls weekend. We were invited to the O2 Dance Company show last night, planning to do yoga today, and we may drop in for dinner at The Coup on Sunday. Family is so, so important. I love these 2 girls to pieces. I’ll keep today’s post brief and FULL of action by counting down my favorite Happy Days Dairies goat dairy-based recipes with this month’s roundup of Fall-inspired goodness! If you’re sensitive to lactose, you may be able to digest goat dairy products. If you’ve tested it, and it just doesn’t work for you, no worries, I’ve got your back. 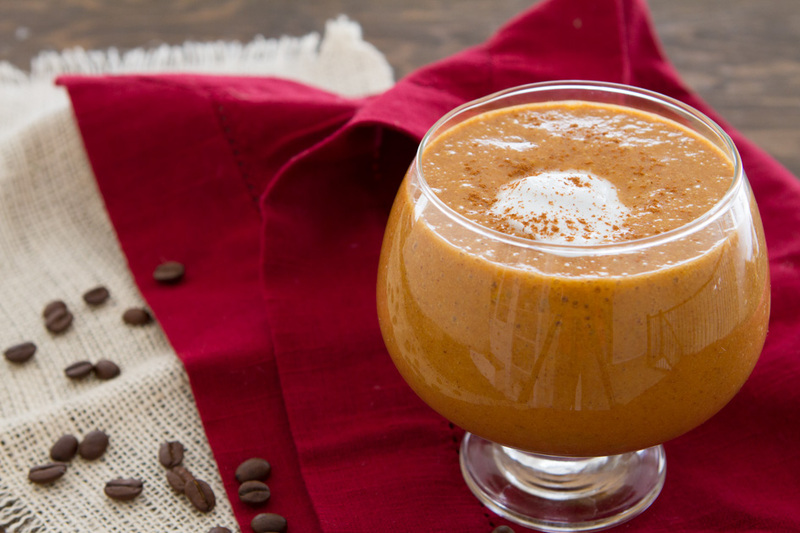 Whether you’re allergic to dairy, sensitive to lactose, or avoid dairy at all cost, I’ve made suggestions in each recipe to help you along the way. 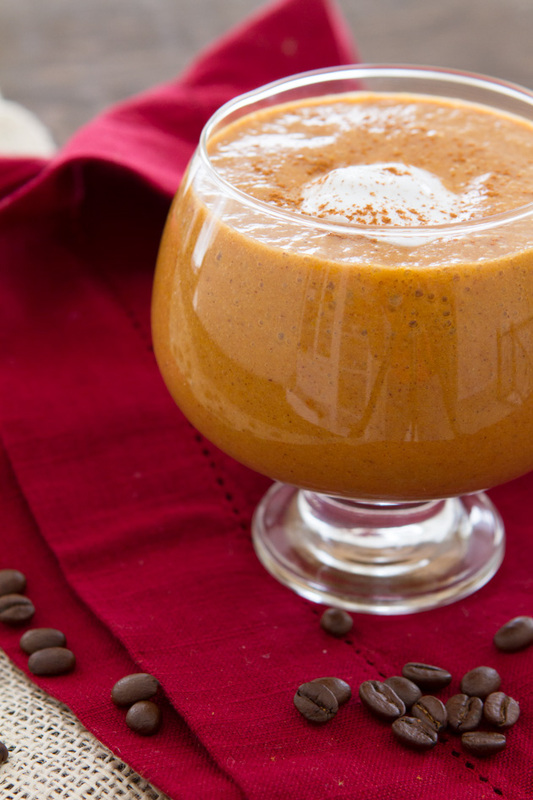 Let’s get started with a smoothie, shall we? You can use Happy Days Soft Okanagan Goat Cheese as the base of a creamy coleslaw dressing instead of yogurt or mayonnaise. 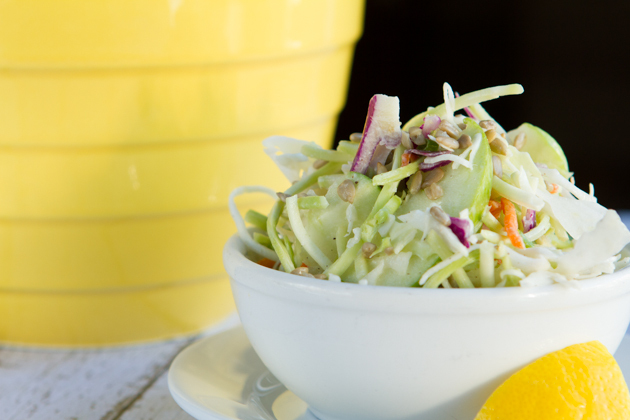 This coleslaw is loaded with fresh flavors – from the lemon pepper sauce to the fresh, crisp apples. Need to make it dairy-free? Use a combination of half dairy-free yogurt and half mayonnaise. 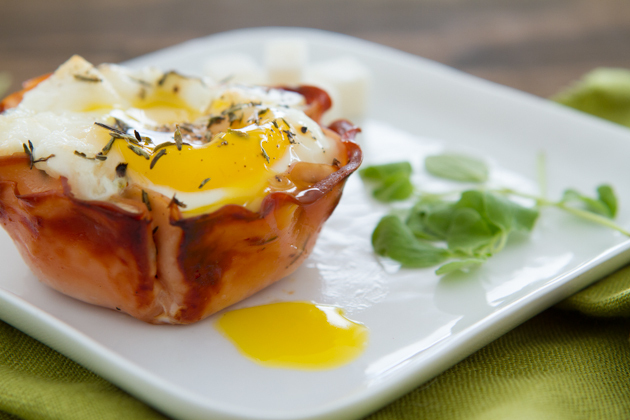 Line your muffin tray with turkey slices and fill each cup with Happy Days Dairies Mozzarella and a fresh egg. Bake and serve up like a sandwich platter! 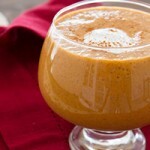 It is an easy breakfast that the whole family will love. Dairy-free? Just omit the goat cheese. Easy peasy! Need to make it dairy-free? No problem. Swap out the cheese for a touch of honey. 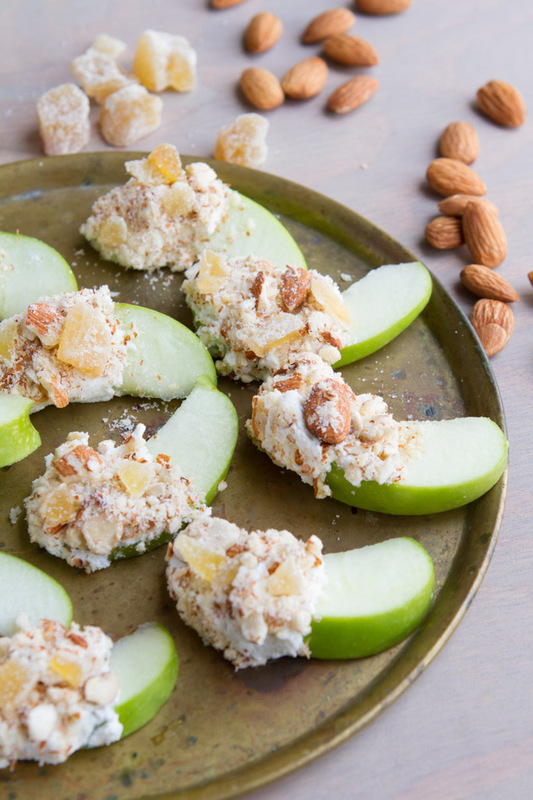 Dip apple slices in honey, then crushed almonds and ginger. Delicious! When did you learn that family was important? Do you have a couple of women in your life that brighten your day?